Social media is an opportunity to tell your story, engage with supporters and get results—which means there’s no time like the present to create or refresh your social media strategy. We asked five experts to weigh in on how to develop a nonprofit social media strategy and prove the value of social media to your organization. As we outline the steps to craft an effective strategy, their advice will guide the way. The actions you will take and the content you will create on social should tie back to your overall communications and digital strategy. Consider how you will connect your organization’s social media marketing efforts to your website and blog, email marketing, event promotions and any other content you share online. Social media provides opportunities for connection that other channels may not. Chara Odhner, Senior Copywriter and part of the social team at charity: water, echoes the importance of using social for community engagement. Once you’ve determined your goals, decide how you will measure success and what metrics you will track to assess the outcome of your social media efforts. For example, if engaging your community is a goal, you might measure success by responses to your posts and engagement in social discussions, volume of posts using a specific hashtag and participation in online campaigns driven by social. “A lot of nonprofits say, ‘well, our audience is the general public,’ but if you think you’re speaking to the general public, you’re probably speaking to nobody,” said Bridgett Colling, Director of Content Marketing at See3 Communications, a digital agency for nonprofits and social causes. Colling recommends that nonprofits develop audience personas, which are representations of your ideal supporters based on a combination of demographic data and information about individual members of your target audience. To learn about the demographic makeup of your current social media following, you can use native analytics on platforms like Twitter and Facebook or use a social media management tool. 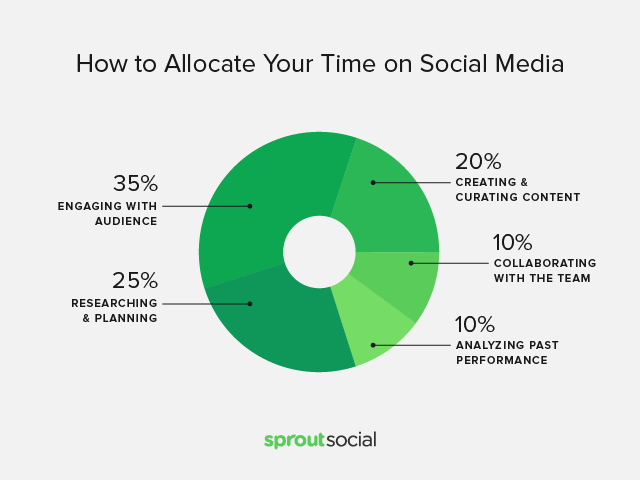 When you start a free trial of Sprout Social and connect your profiles, your audiences’ demographic data will begin to populate, which you can see easily in your dashboard or export as a report. Once you have an idea of who’s already following you online, research and speak with supporters offline to gain additional insights about what matters to them when supporting your cause. You can create multiple personas that represent supporters in different groups: Consider the makeup of your volunteer base, your board and junior board, your donors and more. Go ahead and give each persona a name as well as a comprehensive demographic background, then add specific details about what this person cares about, what their typical day is like, who they trust and more. Hubspot has a helpful step-by-step guide to creating personas. Once you have identified your target audience, study social media demographics to find out where they are active online, and focus your efforts on those networks. If you have limited time to spend on social—and who doesn’t?—don’t spread yourself too thin by worrying about adopting every network that comes up. Do an excellent job on two or three networks with a large potential for reaching your audience instead of a mediocre job on five. To get an idea of which social networks your target audience is on, check out our post on social media demographics where we break down the demographics of every major social network. When creating a content strategy for your nonprofit, focus on storytelling that gets your message across. Start by examining past posts to see what has performed well and what types of content get your followers engaged. Don’t be afraid to ask supporters what type of stories they would like to see from your organization. You can gather this information in person, via an email survey or by asking on social media. Develop content categories for social media that you can cycle through on a regular basis, such as volunteer spotlights, client stories and how-tos. The Toy Association is a non-profit trade association with over 900 business that create toys and games for kids. Part of the nonprofit’s social media strategy involves Genius of Play, which encourages parents to make playtime a part of their kids daily lives. Genius of Play uses social media to share helpful and informational content for parents, as well as spark dialogue about issues their audience cares about. From pictures and graphics to short videos and text, your organization should share a variety of posts across its networks. Visual content can often reach emotional triggers in a way that words alone cannot. There are plenty of free tools for image creation that can help you create beautiful graphics, but don’t worry about making every image highly polished. Capturing snapshots and short videos on your phone enables you to share powerful moments from events, and those types of posts can give your followers a meaningful peek behind-the-scenes of your organization. While every post doesn’t need a link, social media can be a helpful tool for directing people to your website, blog or mailing list. Fundraising Coach and Author Marc Pitman says that one common mistake is keeping your entire social media presence on social media. 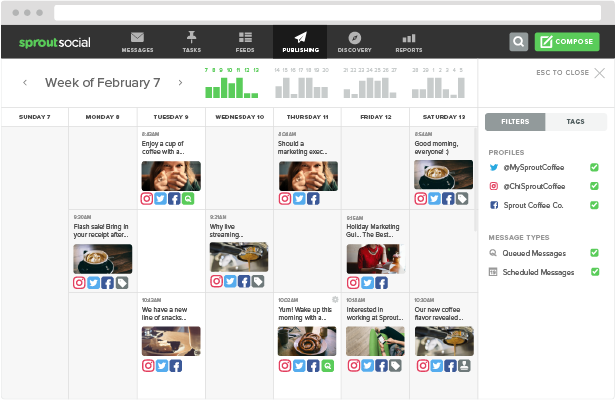 Creating a social media content calendar will help you plan and schedule your social media posts in advance. If you are working with a team, or reaching out to others in your organization for photos or information, a content calendar will help you stay on top of planning campaigns and scheduling content in advance. Determine a posting frequency and cadence that will keep your organization in front of your audience while leaving you time to manage your community, share newsworthy content and measure your impact. If you’re unsure of when you should Tweet or post on Instagram, check out our research into the best times to post on social media. Social media is far more than a publishing platform—it’s a place to capture people’s attention, connect with supporters and build communities. With limited time to spend on social, engagement should be a priority. Respond to questions, comments and posts tagging your organization, and look for relevant hashtags to find new conversations to join. While your tone may be more formal on other outlets, social media is a particularly good place to cultivate a personable brand voice that helps supporters feel connected. Don’t be afraid to use humor to connect either. Men’s health non-profit Movember regularly uses humor on social media to add a little light-heartedness to support a serious cause. Even the most enthusiastic proponents of your organization may not realize that social sharing is a powerful way that they can raise awareness for your cause. If you are creating or ramping up your presence on a specific network, make it known to all of your constituents that they can connect with you there. Show them the value of following—the stories, tips and images they can expect to see—and educate them about the best ways to show support. Don’t be afraid to cross-promote your social media content on other channels. 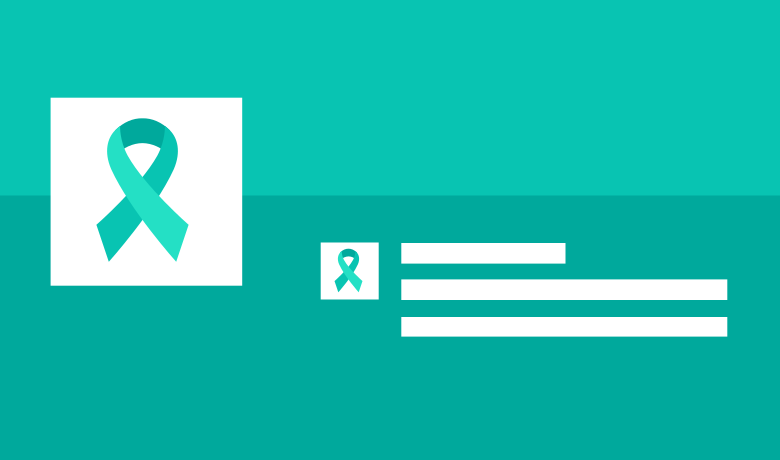 If you have high profile advocates or an internal team that’s active on social, you can use an advocacy platform like Bambu to curate content and messaging for your advocates to share. 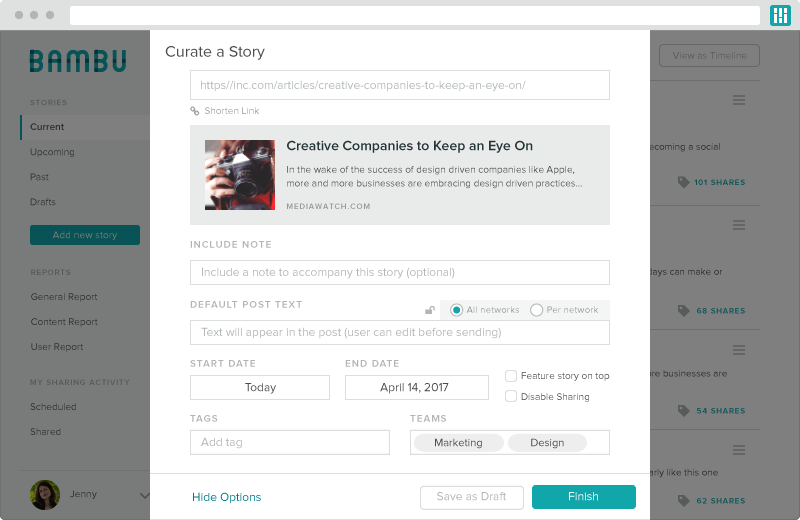 This way, all your team has to do is login and start sharing content with a few clicks. From day one, track your social media efforts to ensure that you are progressing toward your goals. Demonstrating results will show your leadership the importance of investing time and resources into social media, and it will help you adjust your content strategy to focus on the type of content that performs best. Kanter suggests that you look not only at what content is getting a good rate of return but also at what takes less time to get that return. For goals such as driving website traffic, Colling recommends using Google Analytics to see how many social referrals are getting people to your website. “Even better, if you put goal tracking in your Google Analytics, you can see how many referrals actually led to someone completing a donation,” she said. If making time to run reports is a challenge, this is just one of many areas where a social media analytics tool will help. You can use Sprout to run weekly or monthly presentation-ready reports on everything from sent message performance to audience changes to engagement. 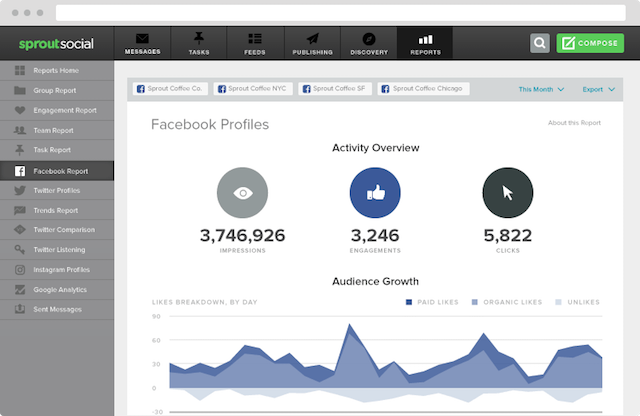 You can also use information from social networks’ native analytics (Twitter Analytics, Facebook Insights, YouTube Analytics) to create your own reports. For a clear breakdown of how to use native analytics, check out our post on the social media metrics that matter. Above all, remember to listen and create a habit of strategy and measurement. Over time, you will learn what content gets your community talking and how to fine-tune your nonprofit’s social media strategy to get the best possible results. If you have questions about social media strategy or recommendations based on what has worked well for your organization, let us know in the comments below.